Dr. Jones received her bachelor's degree in Psychology from the University of North Carolina at Chapel Hill, and her master's and doctorate degrees from Emory University in Atlanta, Georgia. She completed her predoctoral internship at Yale University, where she worked in adolescent inpatient and intensive outpatient services. She completed her postdoctoral training at Virtually Better, Inc, in Decatur, Ga (2012-2013), and at Emory University School of Medicine (2013-2014). Dr. Jones is currently an Assistant Professor of Psychiatry and Behavioral Sciences in the Emory University School of Medicine. Dr. Jones' clinical interests include working with children, adolescents, and families. She specializes in working with adolescents and young adults who are struggling with eating disorders, overweight, and/or body image concerns. 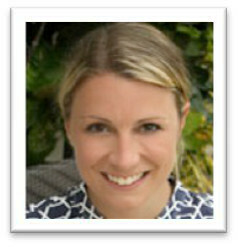 Dr. Jones designed an iPhone app for self-monitoring appetite cues, which she is currently developing for clinical use. Across her research and clinical interests, Dr. Jones is interested in the development, implementation, and dissemination of evidence-based practices.